More and more computers these days get infected with adware and malware programs. A customer recently brought his laptop in that had the Finding Discount program installed. This program is malicious and I would consider it a PUP (Potentially Unwanted Program). It will change your search engines, bring up messages about your computer being infected, and slow down your computer. Here is a step by step process on how to remove this software. The computer that was infected was running Windows 8.1. 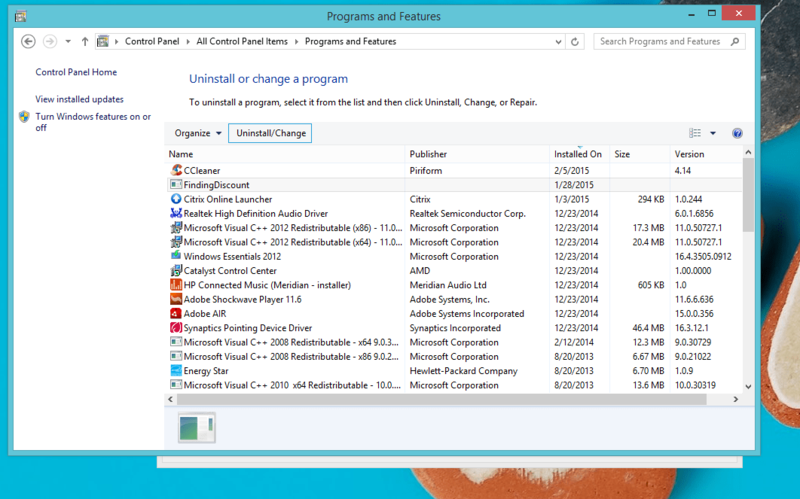 However, the removal process should be similar for those who are running Windows 7, Windows 8, or Windows 10. Step One: Go to Control Panel > Programs > Uninstall a Program. 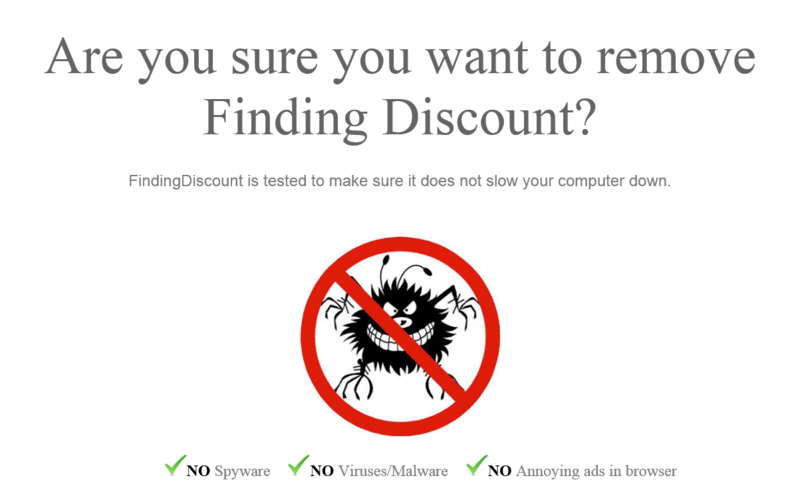 Locate Finding Discount and click Uninstall. Step Two: When you click Uninstall you will get redirected to a webpage. It will probably look similar to the one below.This is when it gets interesting. Normally, you can click uninstall on a program and it will just remove itself. 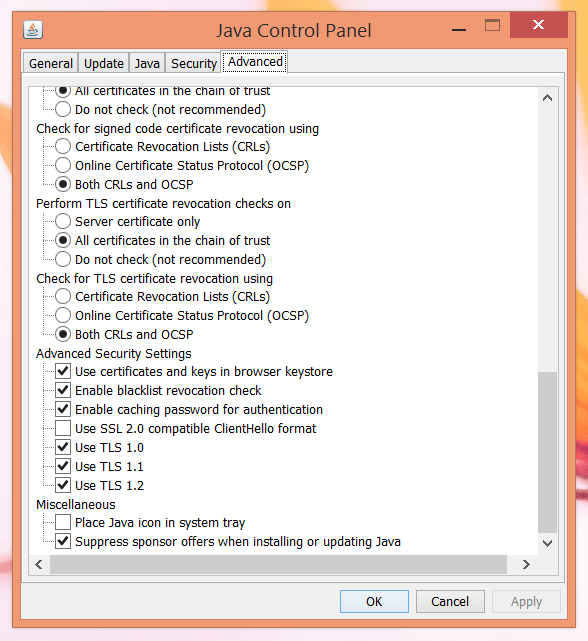 But this program proves to be quite tricky. Step Three: Just ignore the message it is proclaiming. . . it is bogus. Scroll to the bottom of the webpage and enter the uninstall characters they provide. This entry was posted in Tips, Troubleshooting and tagged Adware, FindingDiscount, Malware, Windows 8.1 on February 7, 2015 by Merlin Halteman.